The custom-designed Team Message Connect System provides an answering service for small- and medium-sized businesses so that you never miss an enquiry when you are out of the office. 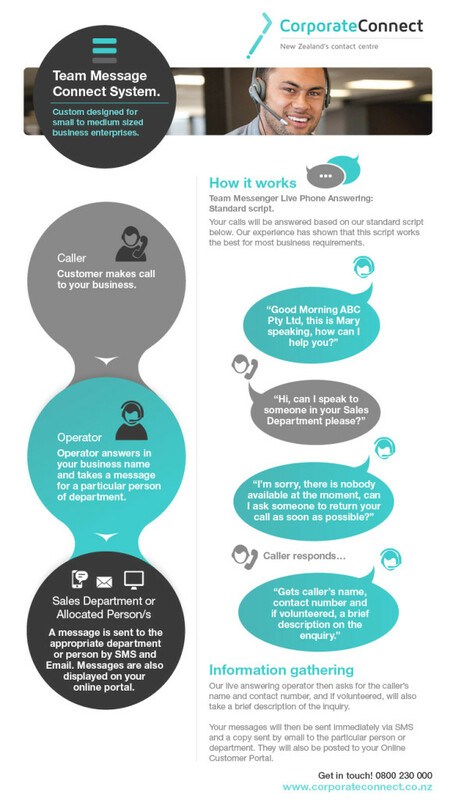 Check out this infographic to see what this service includes and how messages are relayed to you. This entry was posted in Message services by CorporateConnect Communications. Bookmark the permalink.